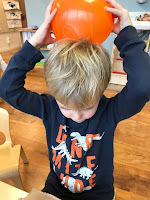 This week we ran two science experiments. What objects can we cause to roll down a ramp? We tried a hockey puck, laying flat. Lochlan: It's not rolling. Put it on its side. We turned it on its side, and it rolled down the ramp. Carson: Because it is a rectangle. Carson: Because it's rectangle too. We tried a cylinder, on its side. Emily: It's like a circle. 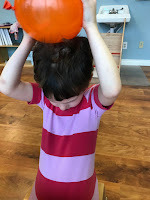 Miles: It won't roll standing up because it's not round anymore, it's flat. 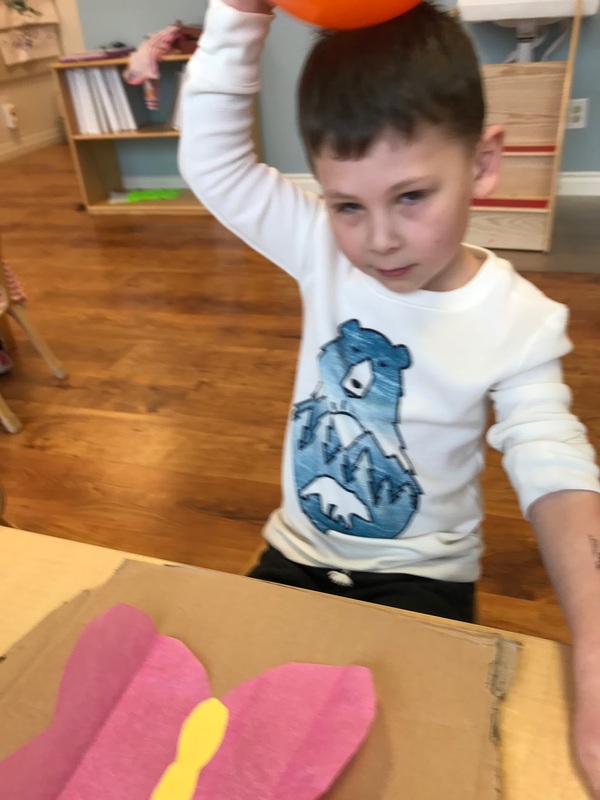 Lochlan: Because it is a square. 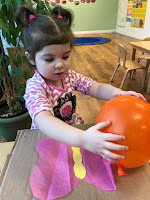 Morah Katie: Which objects rolled best? Morah Katie: What if we adjust the ramp? What if we make it steeper? Let's try the domino now. (It slid a little bit.) What did we change that caused the domino to slide? 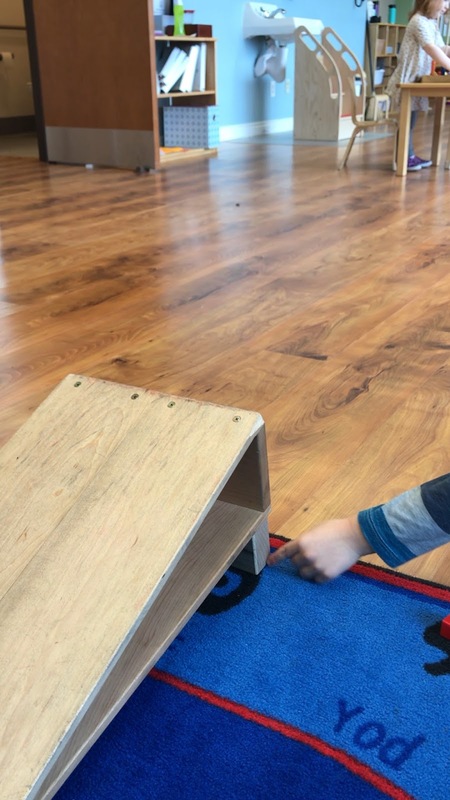 Matan: We moved the ramp to make it steep. 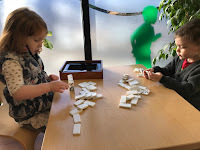 Morah Katie: The domino slid, let's try the block. It did not slide. What can we do? We put a block under one side of the ramp. We tried the block. It slid! 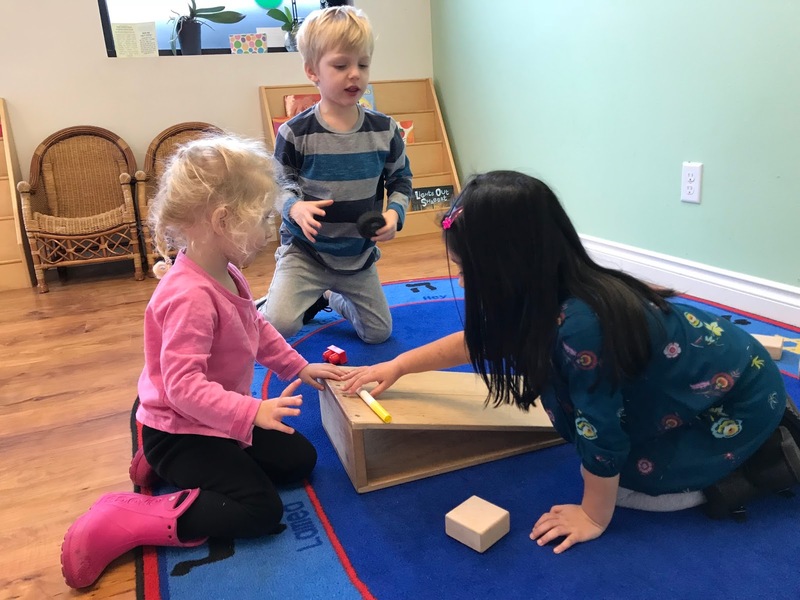 Morah Katie: We could make the block slide without adjusting the ramp, we could apply a force. Force is a push or a pull. Think for a second, what does gravity do to our bodies? 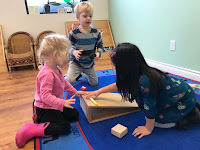 Morah Katie: We can use the ramp in reverse. How will I get the block up the ramp? Carson: You'll have to push it. Morah Katie: Will I have to use a little or a lot of force? 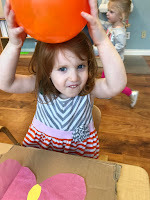 Morah Katie: How about the ping pong ball? 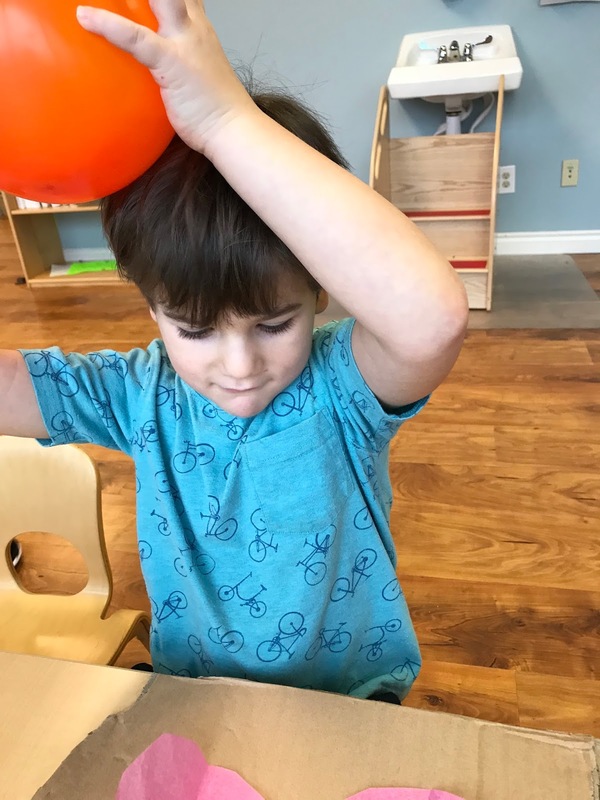 Morah Katie: What about getting the puck up the ramp? How much force will I need? Lochlan: Maybe a not a lot, but not a little. Morah Katie: If it is on its side? 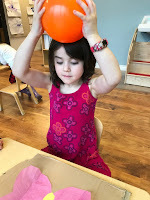 Morah Katie: What are we applying to objects to get them to move? 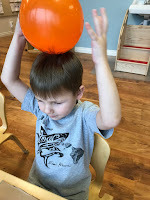 We moved on to explore static electricity. We saw what happened when positive protons and negative electrons attract each other. Morah Katie: Please tell me what you learned about static electricity. 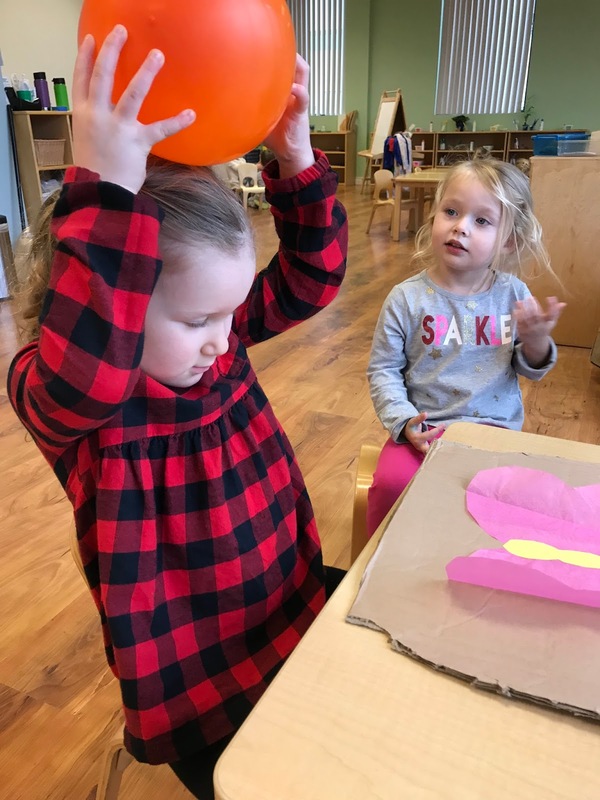 Jade: We rubbed the balloon on our heads and then put it over the butterfly. 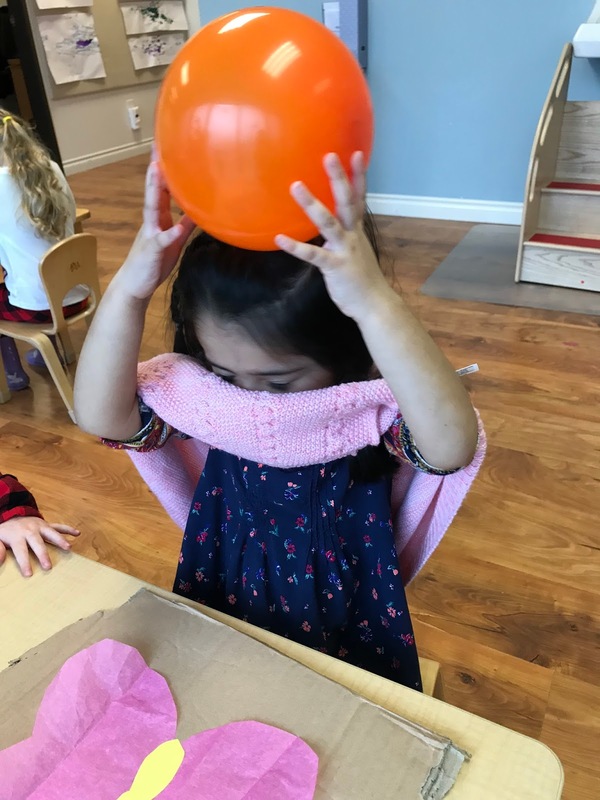 We FORCED the balloon on our head. 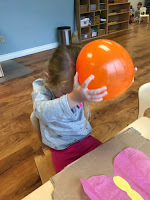 Morah Katie: We did use force to rub the balloon on our heads, and then how did the balloon use force? Miles: The wings moved. I was surprised. Morah Katie: How did the balloon pull the wings up? Jade: When we FORCED the balloon on our head. 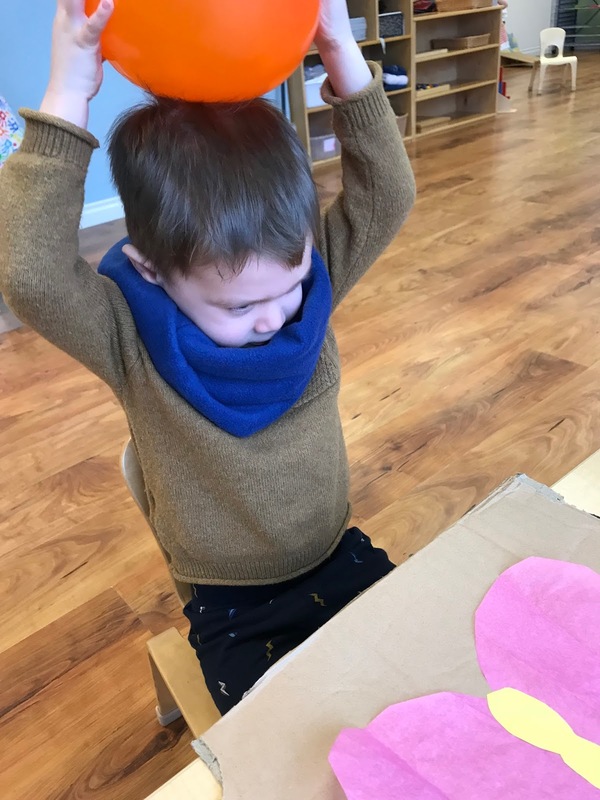 Morah Katie: And what is force? Maya: It's when we make something move. 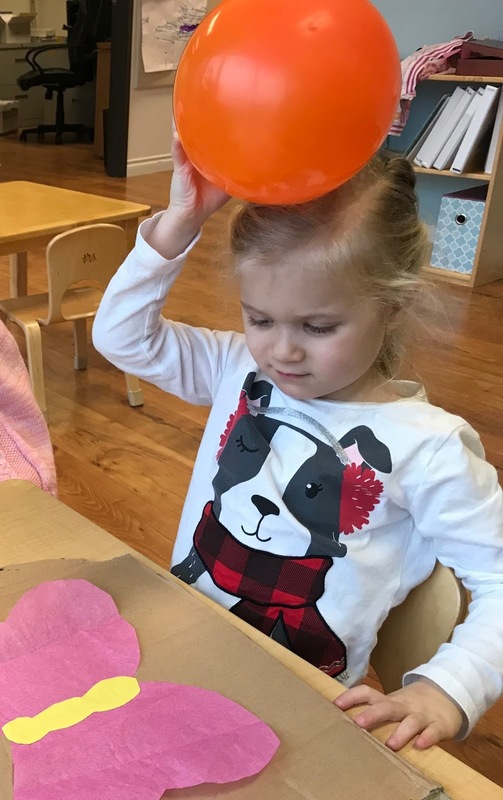 Morah Katie: By rubbing the balloon on our head, we took the negative electrons on our hair and introduced them too the positive protons of the paper. 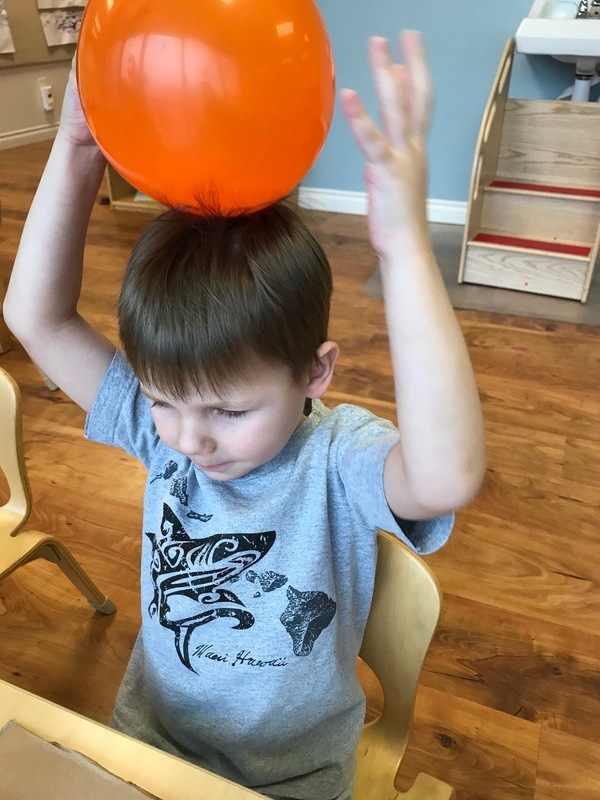 The opposite charges are attracted, they want to be friends, the balloon makes the wings lift.